This a simple but sweet Christmas or winter holiday card featuring a line of mittens. Sentiment: Wishing you the happiest of holidays. For this card, the background was dry embossed and die-cut. The mittens were colored in Copics. For simple accents, I layered ribbon and lace behind the sentiment and then added sequins. Here is a quick video tutorial for this winter mittens card. Supplies: Unity Stamp Co. Unique and Star Bright; Copic markers BG32, BG10, R35, YG0000; Spellbinders dies, Cuttlebug embossing folder, Pretty Pink Posh sequins, lace and ribbon. If you haven't already, visit the Unity blog hop going on throughout the weekend here. 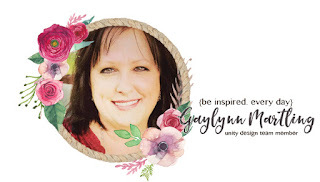 Today, Unity is having their July 2018 blog hop and it is filled with winter holiday inspiration. Sentiment: We are all unique... wonderfully beautifully made. I really like these scarves, so I made this into a winter themed card. It would work for Christmas, winter holidays, for a winter birthday or just because. 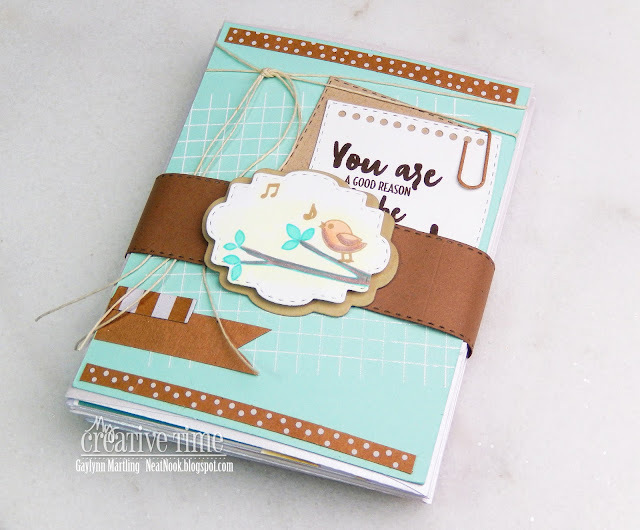 This card is filled with paper layers, fussy cuts and simple Copic coloring. Here is a quick video tutorial for this winter card. Hop along with us for prize chances and for lots of inspiration along the way. We have TWO amazing Unity filled prize packages to give away. Leave a comment on EACH design team member’s blog in the hop for your chance to win. Thank you for visiting. Your comments mean the world to me. After the hop, remember to check out the Unity store. 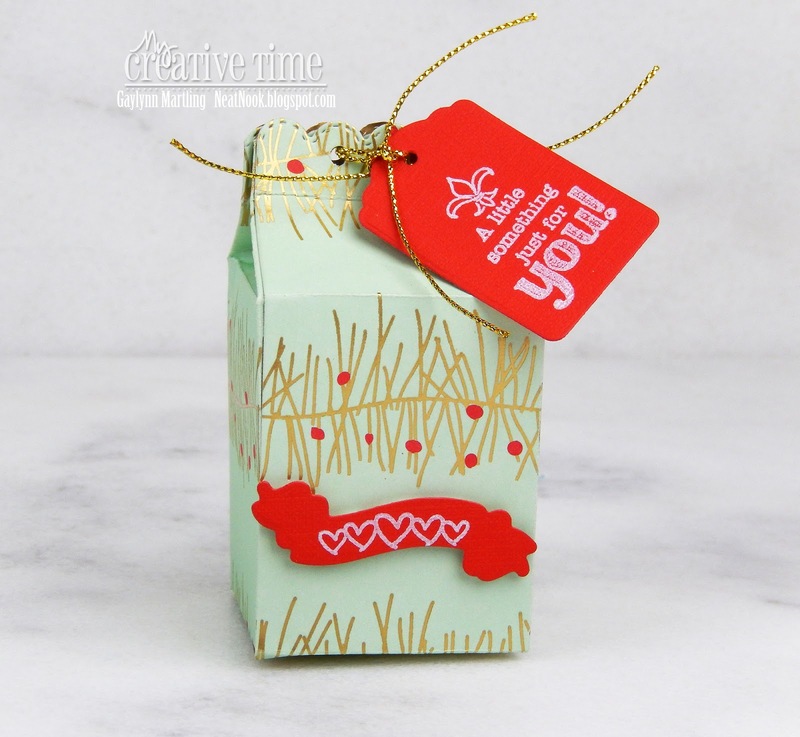 For the holidays, I like to add small gifts or treats to a handmade favor container like this one. I decided to make this Christmas holiday themed. It makes a fun gift presentation for almost anyone. This was easy to put together. The die-cut patterned paper was scored and assembled. I added stamped tags with gold cording to finish. Other supplies: MSC paper, StazOn opaque cotton white ink and adhesive. I hope you were inspired to use decorated favor containers for gift giving. Be sure to visit Miss Emma's My Creative Time blog for more inspiration. Today is Watercolor Wednesday on the Unity blog. 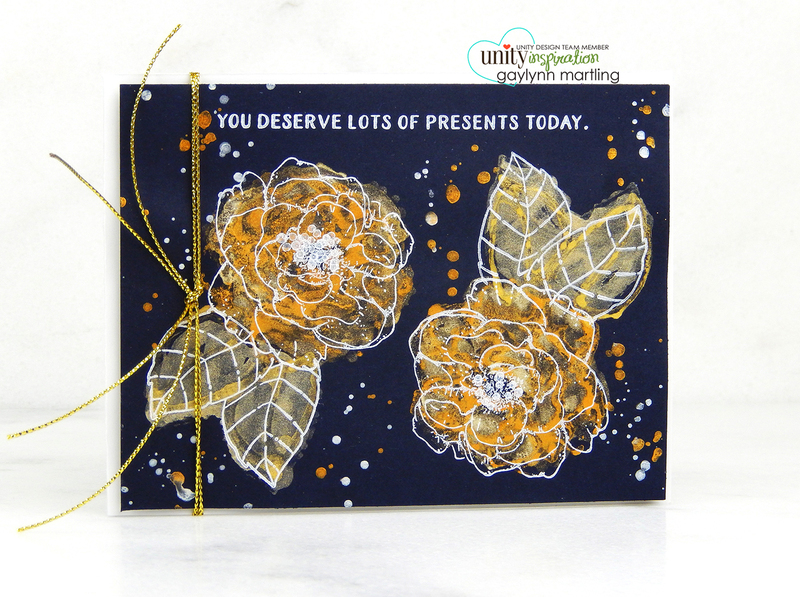 I am sharing a way to add golden watercolor flowers on dark cardstock. Sentiment: You deserve lots of presents today. This card incorporates three step stamping using golden watercolor with flower layers. It is perfect for a birthday or celebration occasion. The full article and tutorial are up on the Unity blog. 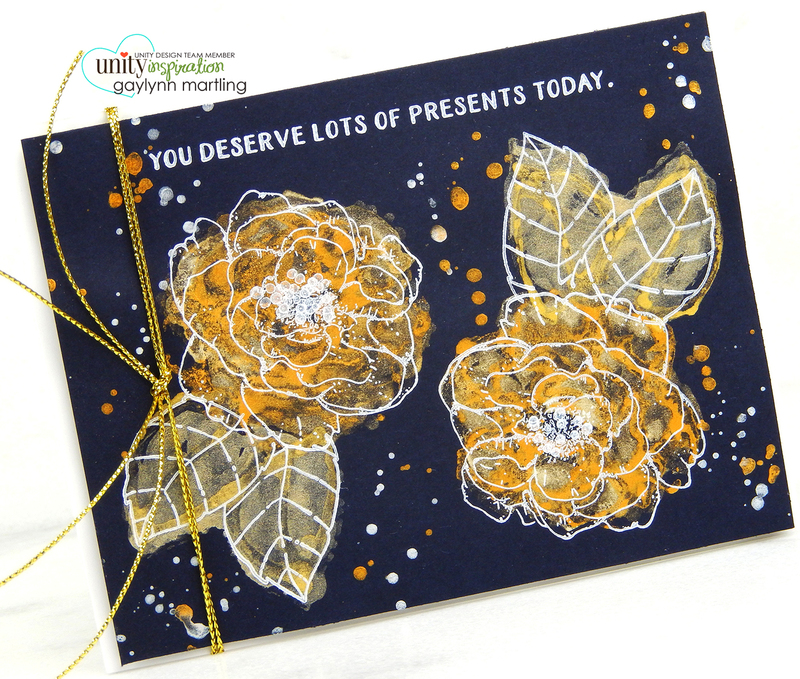 I also made a quick video tutorial showing the process for making this golden watercolor floral card. Supplies: Unity Stamp Co. Step Out Peony and Hey Friend, Gansai Tambi Starry Colors gold and silver watercolors, StazOn opaque cotton white ink, watercolor brushes and gold cording. Be sure to visit the Unity blog for the entire article and tutorial. Also, you can find my other watercolor features at Unity's Watercolor Wednesday. Hello. It's Gaylynn here with a baby themed project for the My Creative Time 81st Edition release, blog hop and sale. You should have arrived from Miss Emma's My Creative Time blog. Sentiment: Congrats. I'm so happy for you. This is a gift envelope watercolor card. It has a built-in gift card holder. I first added watercolor to Canson watercolor paper using Gina K Designs ink in two different colors. For watercolor, I used an ink smooshing technique with added water and a plastic craft mat to create this look. Once dry, I die-cut the envelope and assembled the layers. ALSO, DON'T FORGET our sale starts RIGHT NOW online, in the My Creative Time Store! Use the code: JULY2018 to receive a discount off your entire purchase! This sale applies to "IN-STOCK" items ONLY. This sale will end on Friday, July 27, 2018 @midnight PST. Starting on Friday, July 20, 2018, @ 8am PST we will be giving away this ADORABLE new “BABY BUMP ADD-ONS” stamp set. This stamp set will be given to the FIRST 50 shoppers! If you are one of the 1st 50 shoppers it will automatically be added to your package at the time of packing/shipping. Once 50 shoppers came through, this stamp set will be available for purchase. And here is a closer look at today's card for someone expecting. Today, the MCT team is sharing Day 3 sneak peeks of the 81st Edition release. 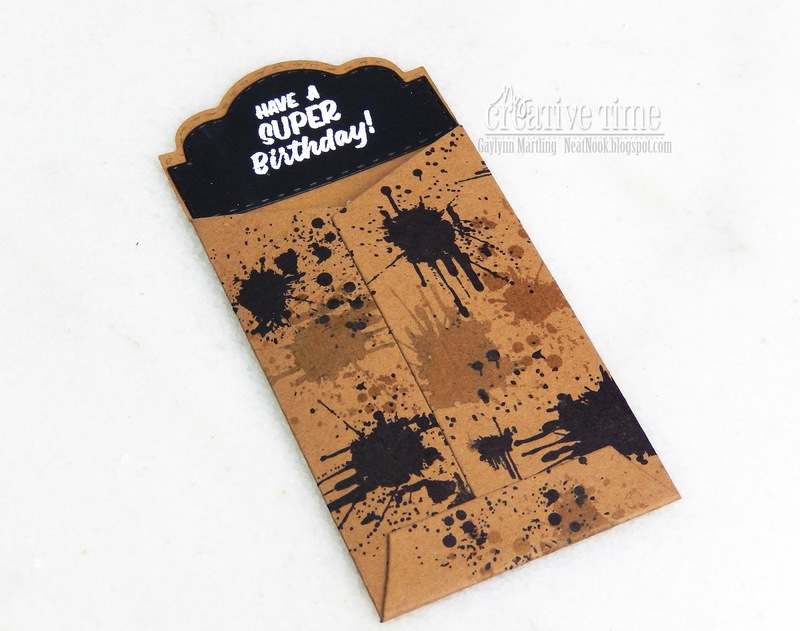 Here is a masculine style birthday gift card or money holder. Sentiment: Have a super birthday. For this gift card or money holder envelope, I added splatters with stamps in black, kraft and VersMark (clear) colors. I needed this for my son's birthday, so I kept it simple with no frills but fitting for him. I heat embossed the sentiment in white over the black die-cut layer. The top of the envelope can be folded down. But I decided to leave it up for easy access and to leave a little space for the sentiment. Starting on Friday, July 20, 2018 @ 8am PST we will be giving away this ADORABLE new “BABY BUMP ADD-ONS” stamp set. This stamp set will be given to the FIRST 50 shoppers! If you are one of the 1st 50 shoppers it will automatically be added to your package at the time of packing/shipping. Once 50 shoppers came through, this stamp set will be available for purchase. So, if it's for sale in the store, you are not one of the 50. No exceptions will be made. This freebie is not part of the "bundle" and will be sold separately. Please be sure to visit Miss Emma's My Creative Time blog for more sneak peeks, all week long. Stay tuned for tomorrow's full reveal and release party. Today's Watercolor Wednesday focuses on a Summer tropical beach watercolor scene using stamping and embossing. This card project is up on the Unity blog. Sentiment: May every sunrise hold more promise and every sunset hold more peace. The background was first heat embossed with a stamped sentiment and netting. I added Sakura Koi watercolor for the sand and for the water. 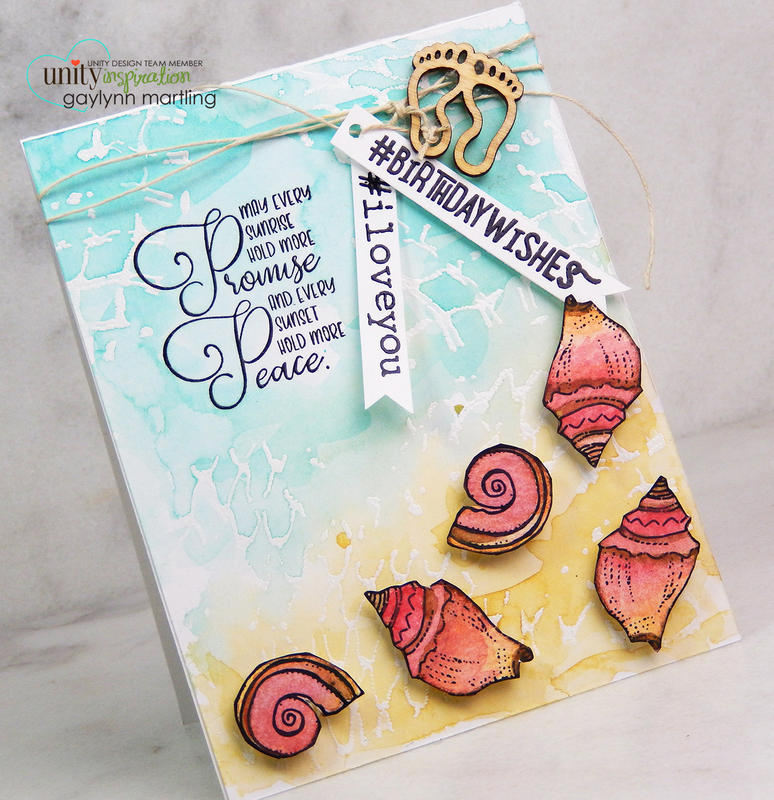 The seashells were pre-stamped and watercolor was added to them using distress markers. 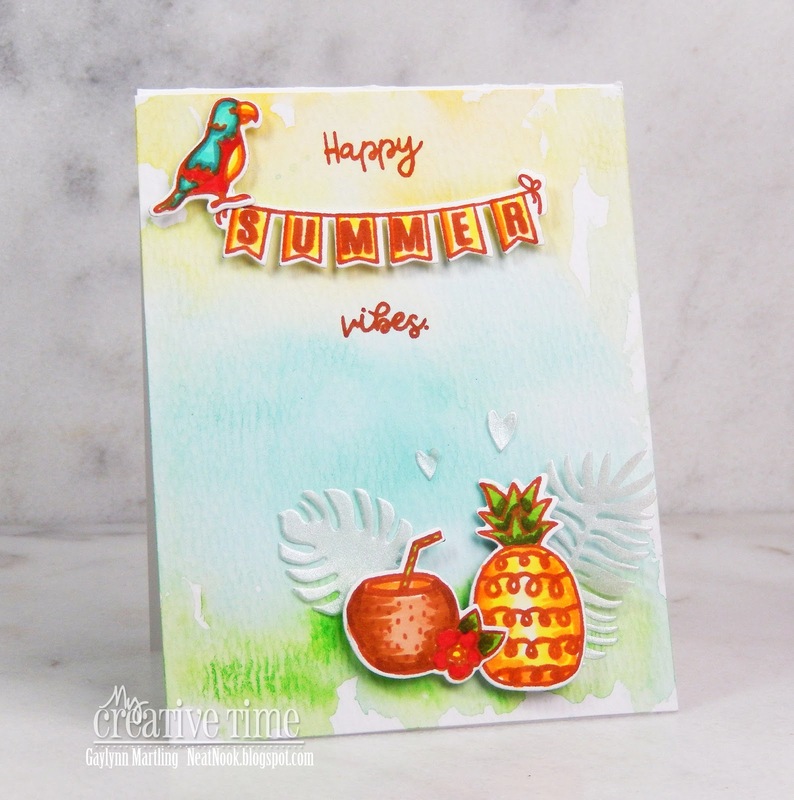 I fussy cut them out and added them to this tropical card. The full article and tutorial are up on the Unity blog. I also made a quick video tutorial showing the process for making this tropical beach theme watercolor card. Supplies: Unity Stamp Co. 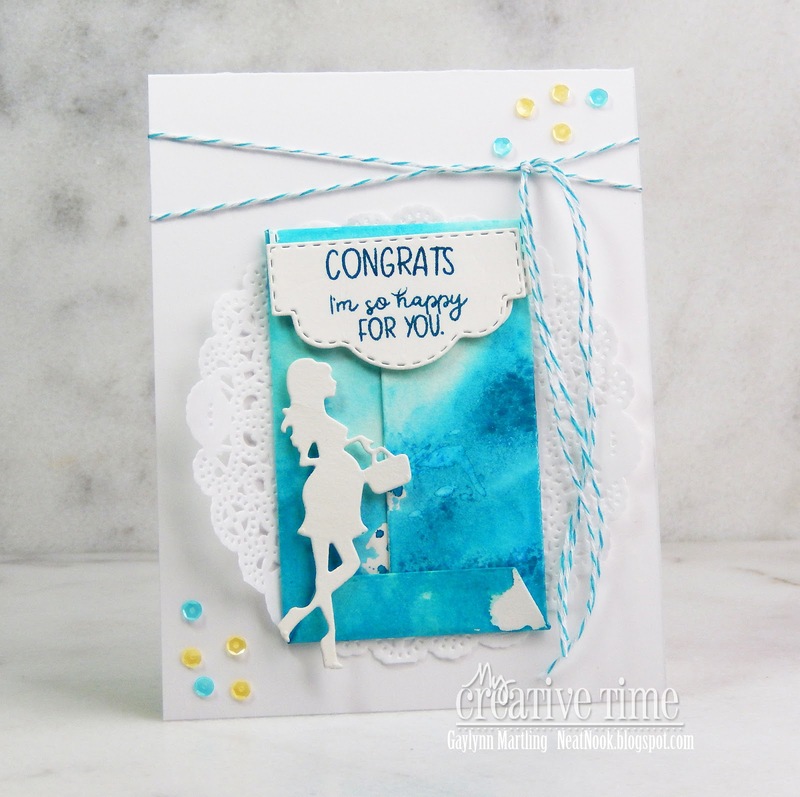 The Ocean Is Calling, Open Sky Deep Ocean, Magnolia Flowers and Hashtag Kit, watercolor paper, Sakura Koi watercolors, ColorBox ink, embossing powder and a barefoot charm. Today, the MCT team is sharing Day 2 sneak peeks of the 81st Edition release. Here is my tropical Summer watercolor card. For this card, I used Sakura Koi watercolor on the background watercolor paper. The Summer stamps and sentiments were stamped and die-cut. I placed them around the card to make a little Summertime scene. Shimmer vellum was used for the leaves. Copic markers used: E13, YG0000, Y02, YR14, R27, YG13, G99, BG32, BG18 and E27. Your comments make my day. Happy Summer. Today, the MCT team is sharing Day 1 sneak peeks of the 81st Edition release. 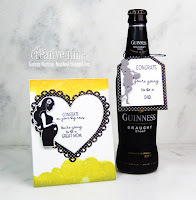 Here is my congrats pregnancy card and gift tag. 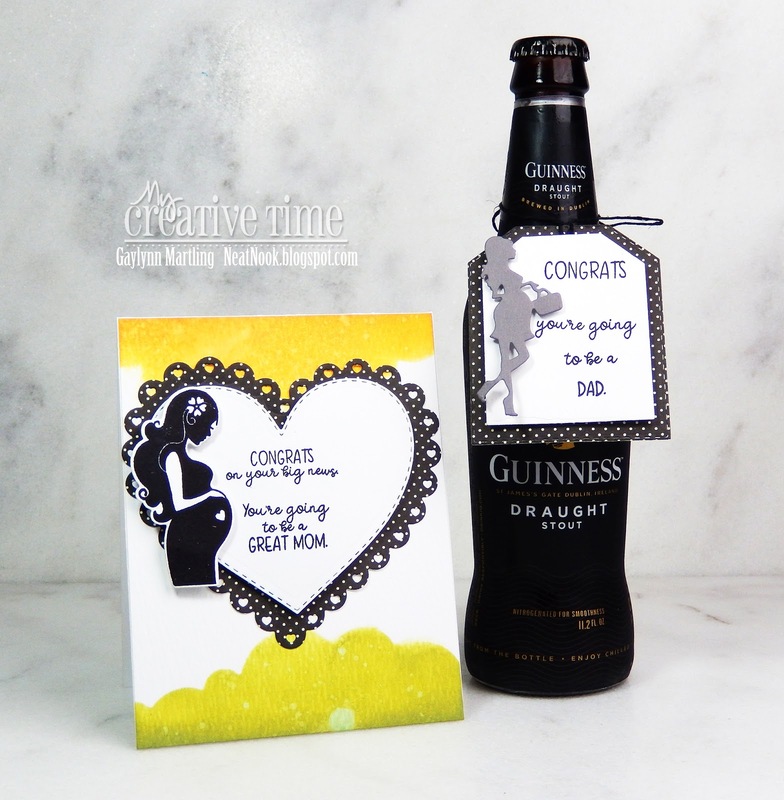 Card Sentiment: Congrats on your big news. You're going to be a great Mom. Gift tag sentiment: Congrats. You're going to be a Dad. These pregnancy kits are the best and so versatile for the Mom or Dad. This card and tag are ready to be given out for congratulations. 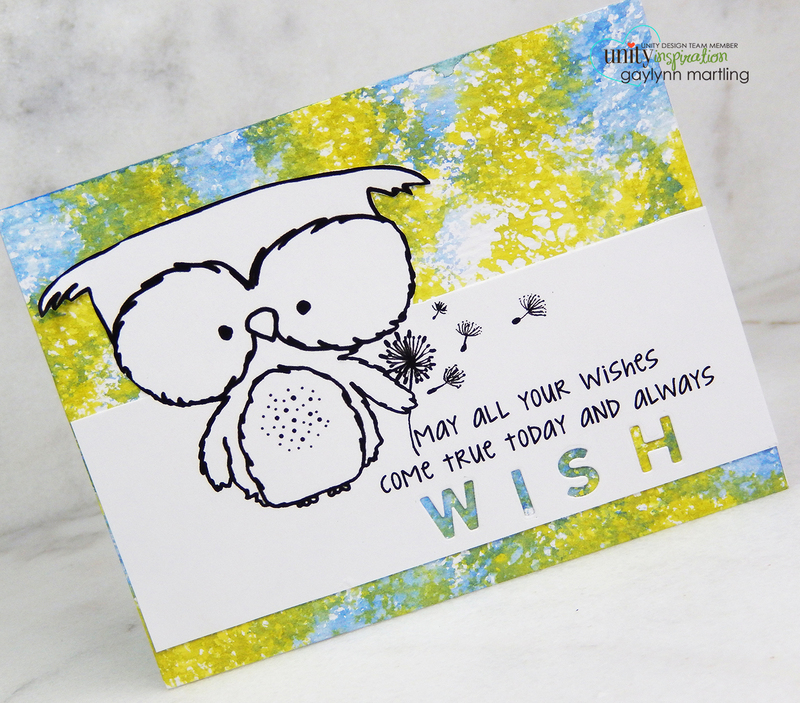 For the card, I used distress oxide ink with water splatters, using the negative of the edge die. I added die-cut heart layers, sentiments and the mommy-to-be. 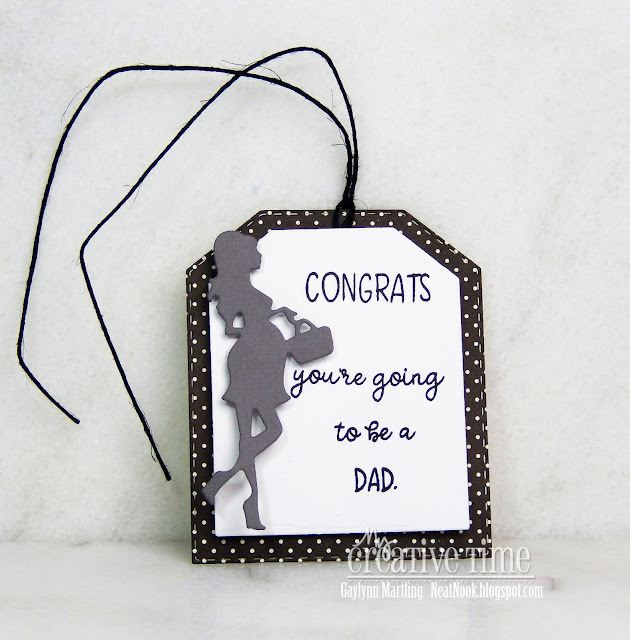 For the bottle tag, I went with a fun sentiment for the Daddy-to-be. It can also be used as a surprise announcement for the soon-to-be father. And, here is a closer look at the bottle tag. Today's Watercolor Wednesday sponge watercolor card is up on the Unity blog. This one has a cute owl addition. Sentiment: May all your wishes come true today and always. Wish. For this card, I made a background with distress oxide ink mixed with water. I used a sponge technique. The full article and tutorial are up on the Unity blog. I also made a quick video tutorial showing the process for making this sponge watercolor card. Supplies: Unity Stamp Co. Owlie Wishes by Lisa Arana, Ranger Tim Holtz distress oxide ink in peeled paint and faded jeans, mini mister, watercolor paper, Big Shot, My Favorite Things die-namics. Be sure to visit the Unity blog for the entire article and tutorial. Also, you can find my other watercolor features for Unity's Watercolor Wednesday. Gift wrapped handmade cards belly band. Sometimes, I give out a set of handmade cards as a gift. This is a way to make a simple gift wrap for a set of cards. For this belly band wrap, I used stamps and dies to make the band and the bird layers. I added simple Copic coloring to the bird layer and then adhered the band together, around the card bundle. To make the band long enough for this stack, I used two of the band die-cuts. Other supplies: Cardstock, Copic markers E7, Y0000, E11, BG32; Big Shot machine, Pop Dots and double-sided tape. I hope you were inspired to dress up your stationery for gift giving. I think it gives a nice and unexpected presentation. Be sure to visit Miss Emma's My Creative Time blog for more inspirational projects. Plant dreams floral handmade card. Here is a girly card with a flower, delicate layers and inspirational sentiments. Sentiment: Plant dreams, pull weeds and grow happy. Happiness is homemade. For this card, I kept the colors soft and sweet, added doily and scalloped trimmings and a heart tag with twine. 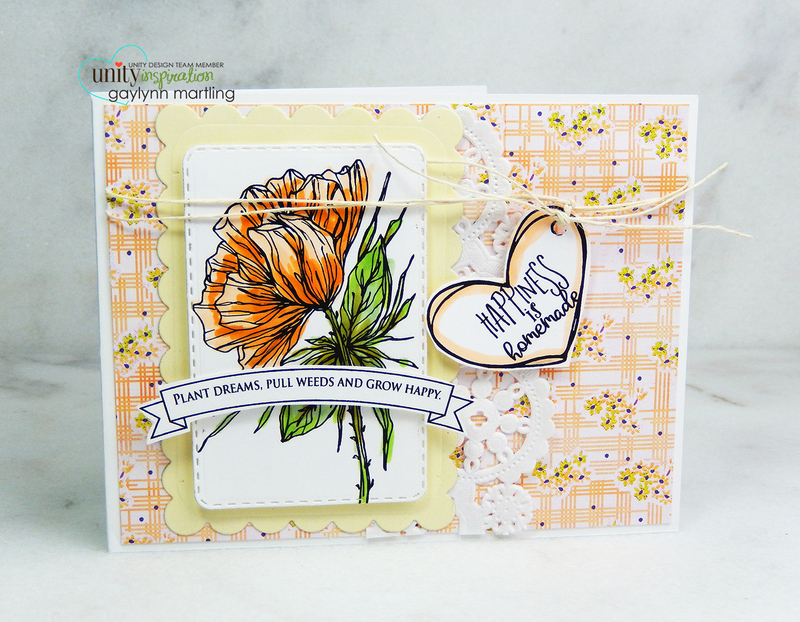 View the quick video tutorial for this floral card to see how it all came together. Please take a minute to give it a like, comment or follow my channel. Supplies: Unity Stamp Co. Everblooming, Copic markers YG95, Y13, G21, YR14, YR00; doily, BasicGrey paper, hemp and My Creative Time Scalloped Stitched Rectangular dies. The best is yet to be card for congratulations or wedding. Here is a pretty floral card in lavender that is perfect for congratulations, anniversary, wedding, graduation and more celebration occasions. Sentiment: The best is yet to be. With hints of ivory, lavender and aqua, this floral card is all dressed up for a celebration. I used layers of papers, die-cutting and stamping for this handmade card. It is filled with flowers, frames and flag accents. Here is a quick video tutorial on this floral celebration card. Here is another look at this card. Supplies: Unity Stamp Co. From This Day Forward, My Creative Time Scalloped Stitched Ovals dies, twine, Copic markers Y21, Y11, B01 and G0000. 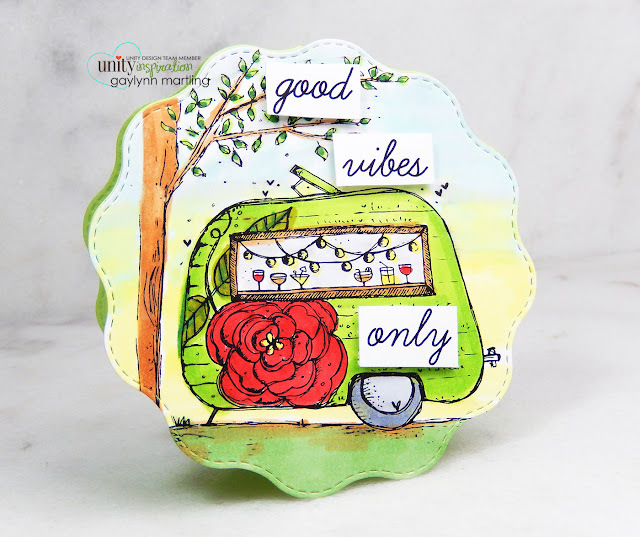 Good vibes only camper shaped card. Here is a cute little camper circle shaped card for today. I love the retro look of the gypsy style camper. And I love the positive message. This is great for most all occasions. I made the scalloped circle shape card from die-cut cardstock along with another layer for the image panel. I used Copic markers, then added the sentiment pieces. Here is a quick video tutorial on how I made the camper shape card. 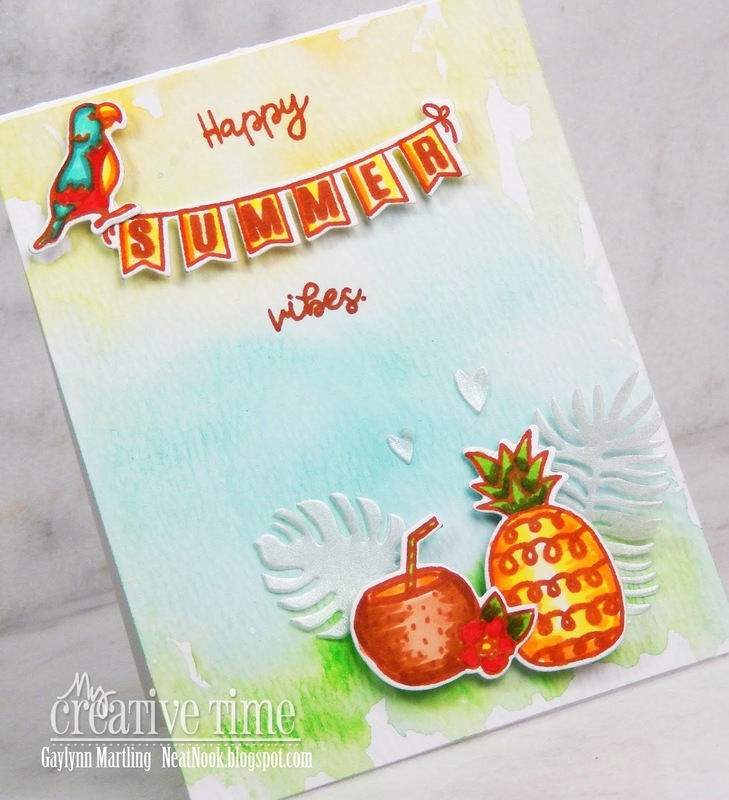 Supplies: Unity Stamp Co. Good Vibes, Copic markers YG95, Y11, YG13, E33, G21, G28, R27, Y13, BG10, C1, C5, C3; My Creative Time Bunch of Fun Circle Dies, Big Shot die-cutting machine and Scrapbook Adhesives foam squares. 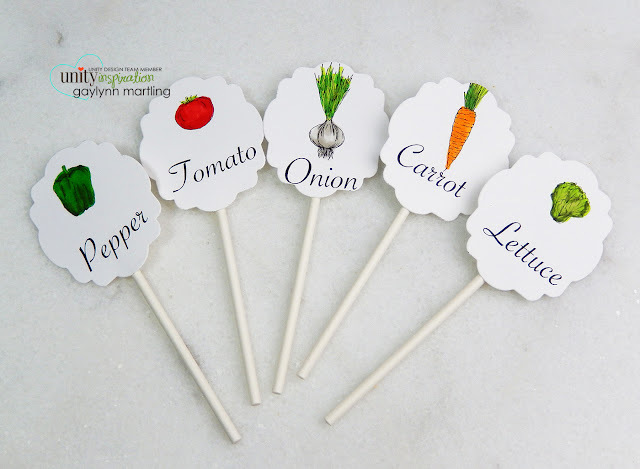 Vegetable garden label stick markers. Sometimes gardening can get a little leafy. This type of label stick marker helps to identify vegetables, fruits or even flowers. For these samples, I used veggies. For these, I just used cardstock with simple stamping and die-cuts. If you want these to be water resistant, laminate the toppers after coloring but prior to adding the lollipop sticks. This is so easy to do. I think I will try this for herbs and flowers as well. Here is a quick video tutorial for these garden label picks. Supplies: Unity Stamp Co. I Hope This Grows, Copic markers W1, W3, G99, G07, YG03, YR04, R27; Wilton lollipop sticks, hot glue gun, My Creative Time stitched belly band dies. 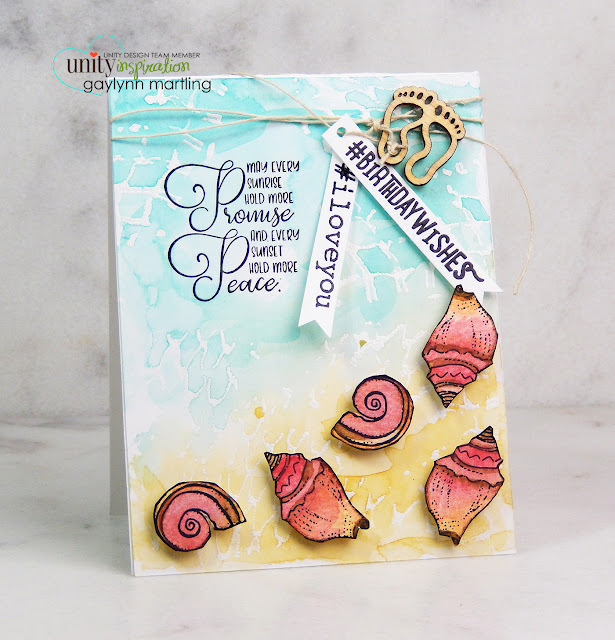 Today's Watercolor Wednesday gift tag project is up on the Unity blog. I share floral watercolor tags with heat embossing and stamping. 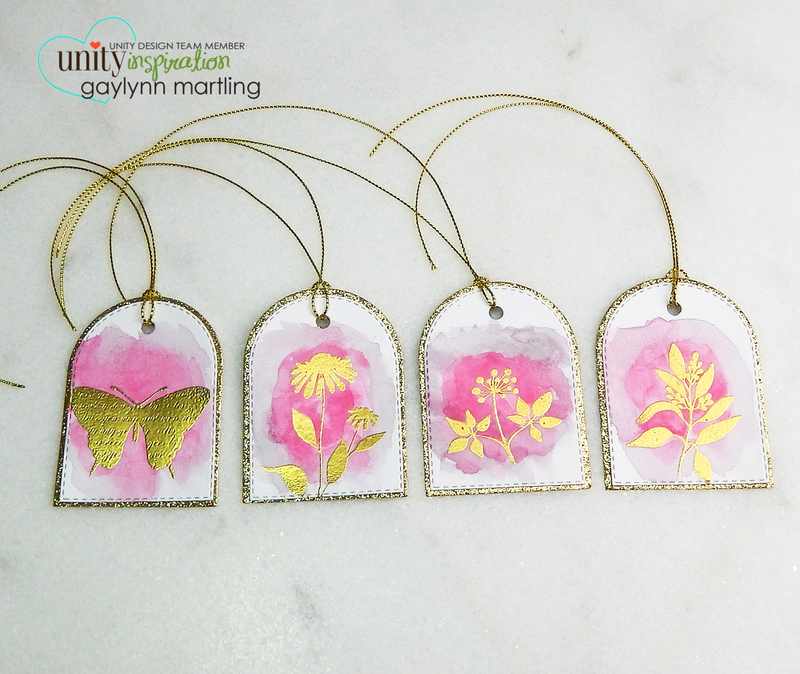 These gold embossed watercolor handmade tags are ready to be added to a gift bag, gift box, wine bottle, etc. for almost any occasion. I used stamping along with heat embossing and Sakura Koi watercolors. Supplies: Unity Stamp Co. Hello Lovely by Gina K Designs, Ranger watercolor paper, embossing powder, distress embossing ink pad; gold cording, Sakura Koi watercolors, My Creative Time dies and foam tape. Wishing you a happy 4th of July. Be safe out there. 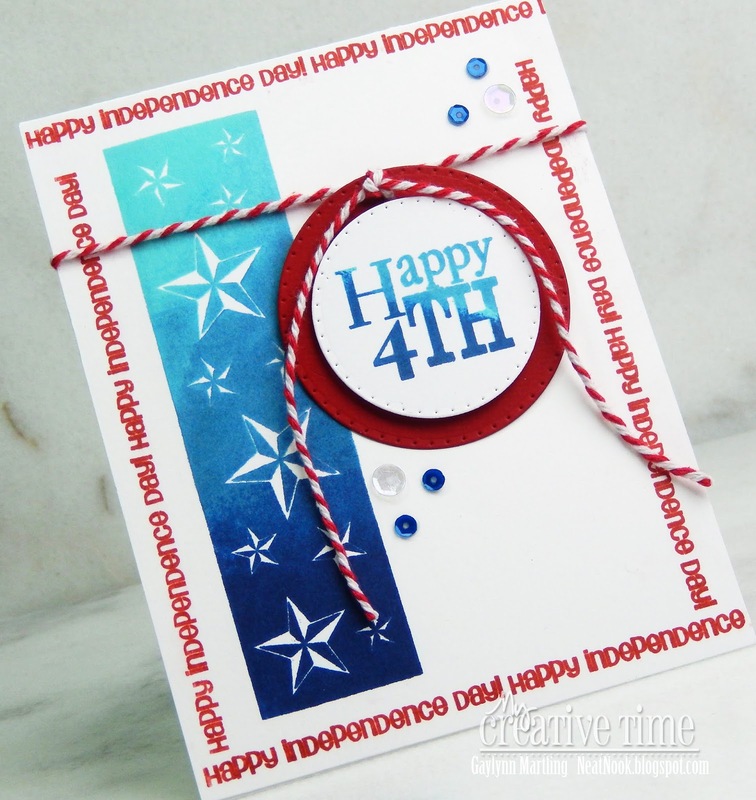 Today, I am sharing an early 4th of July card. Since it is just one day away, I chose Independence Day for my holiday card for the MCT blog feature. Sentiment: Happy 4th. Happy Independence Day! For this card, I made a frame from the long sentiment. 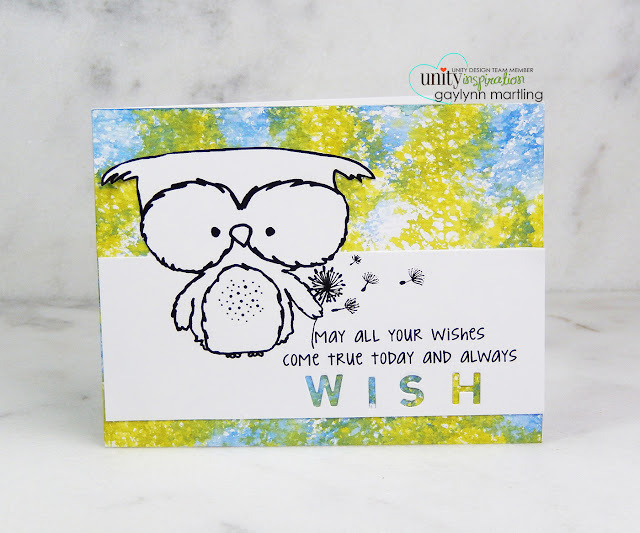 And for the stars and sentiment, I stamped with three different colors to create a blended highlight look. It is intentionally dark and light in different areas. The tag was made from die-cuts and fastened with twine. 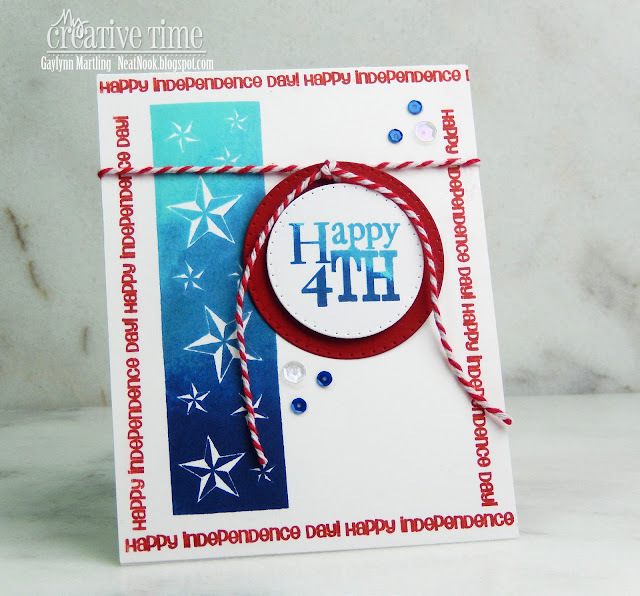 Other products used include Ranger archival and Gina K. Designs ink pads; sequins and twine. This was fun and easy to do. Here is a closer look. I want to take a moment to thank those who serve our country in various branches, at home and abroad, including first responders, law enforcement, the reserves, veterans and their families. We are in the land of the free, because of the brave. Please remember to visit Miss Emma's My Creative Time blog for more holiday creations.